One month ago today, I got a ride down to the Chevrolet dealership and picked up my first new car since my 1991 Saturn. I knew I wanted it as soon as I heard about it–for numerous reasons, including its size, its shape, and especially, it’s long driving range. Today, on the 25th anniversary of the starting of my automotive column, I celebrate a month and 1,641.1 miles of joyous gas-free travel with my Bolt EV. Two things happened today. At 9 a.m. I drove to the Safelite Auto Glass in Redwood City, CA to repair a dime-size chip in my windshield that I picked up last Saturday. I was greeted warmly by Tommy, and then Robert, an expert technician, who made the tiny rose on my car’s front window virtually disappear. It’s sad when something new starts to take on the scars and marks of living in the real world, but just as the front rugs aren’t pristine any more, my car has shed its perfection while retaining its goodness. As an auto journalist, I’ve driven nearly 1,200 cars over the last 25 years. I’ve sampled pretty much every electric and hybrid car you can get, from the Mitsubishi i-MiEV to the Nissan Leaf to the Cadillac ELR. I even took a short drive in the ill-fated GM EV1. I liked the smooth, quiet ride and loved the environmental benefits of driving an EV, but none of the cars had enough range to make me feel like I could use them most of the time. To read the rest, please go to Plug In America’s In the Driver’s Seat blog. 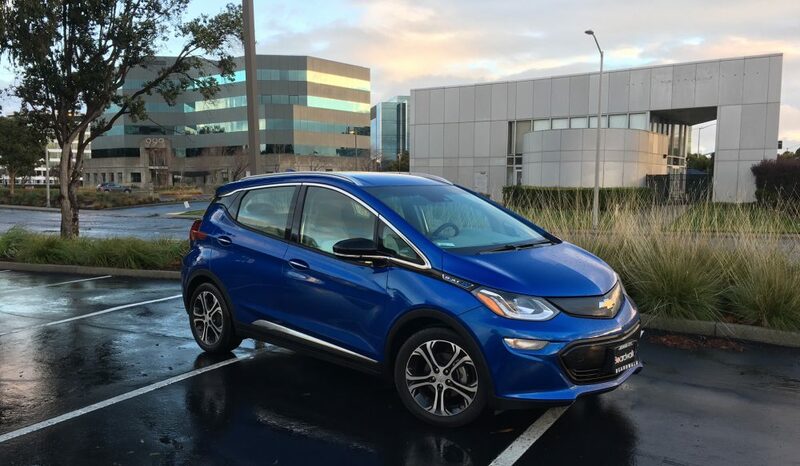 Moving forward, I’ll be looking for highlights in the ongoing story of me and my Bolt EV–and the growing world of electric and hybrid cars.